My goal this summer is to familiarize myself with the Common Core State Standards for Mathematics. As a high school math teacher aware of the growing adoption of these standards, I’m curious about their quality, and I want to see how well they fit in with my evolving vision of what math education should look like. 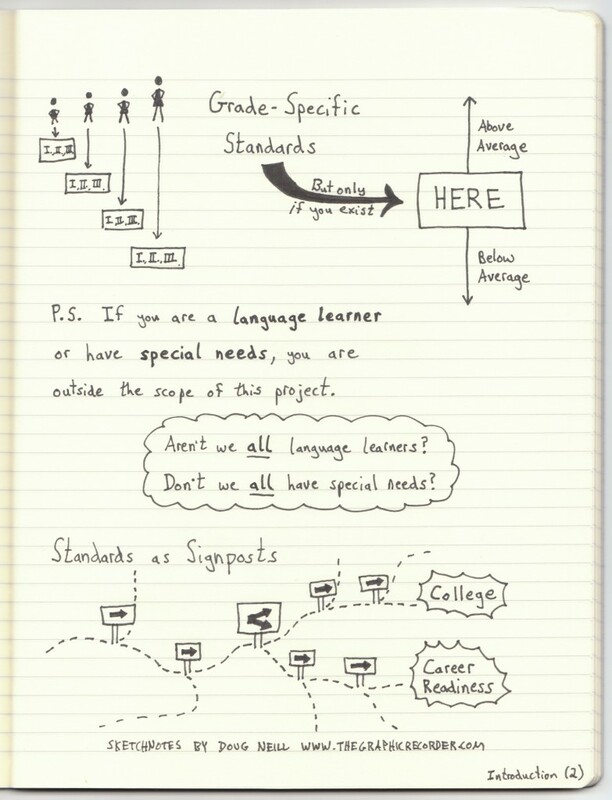 In order to analyze and critique the standards I have decided to take the text-based standards and sketchnote them out into verbal + visual notes. 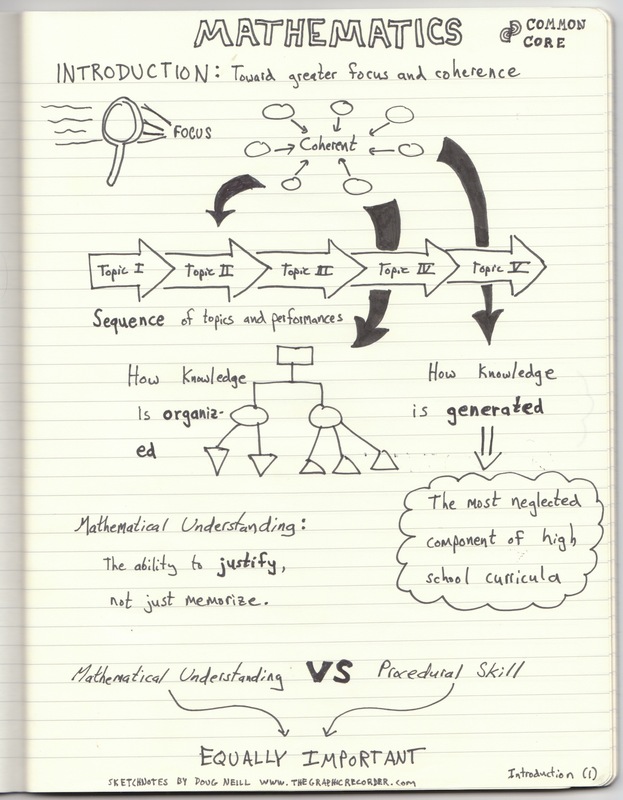 In this post I have included sketchnotes of the introduction to the math standards. I have tried to accurately depict the ideas contained within the text of the standards. 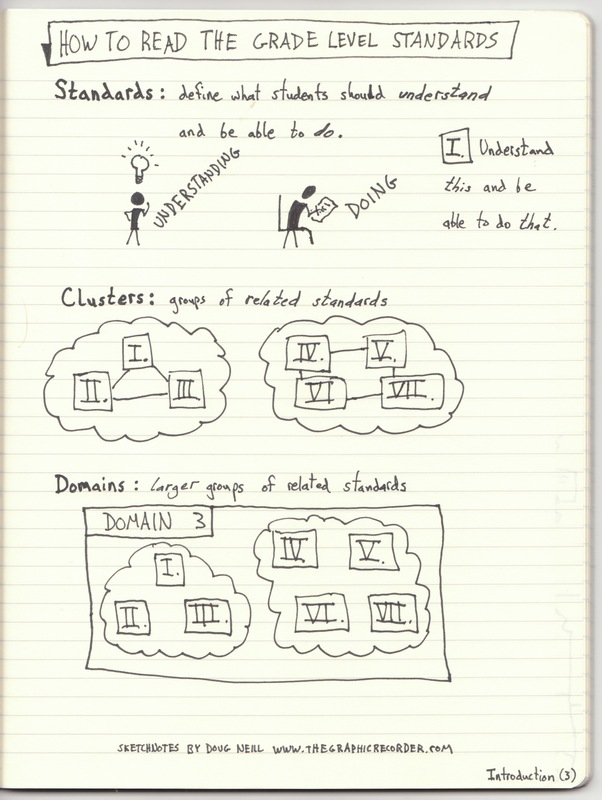 Occasionally you will see thought clouds in the sketchnotes that contain my comments and reactions to the standards. My biggest critique of the approach to these standards is that it appears that language learners and students with special needs are an afterthought. My experience as a substitute teacher in many high school classrooms in Oregon has shown me that there are enough language learners and students with special needs in our classrooms that any set of standards should face that reality and use it as a starting point. If the standards are not flexible enough to account for those students, then they are useful only to a shrinking segment of the student population. But since these standards detail what to teach, not how to teach, any shortcomings can be remedied by teachers with well thought out classroom practices. I’m on a journey to become a better teacher. 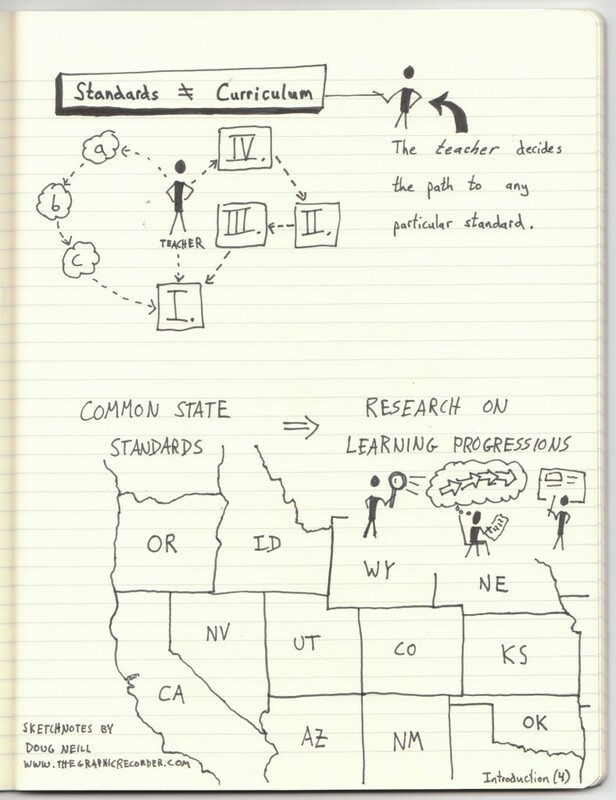 I use sketchnotes to help me move forward on that journey as I process ideas related to education. If you’re interested in reading more, check out other sketchnotes of mine that deal with educational issues.